With baseball season revving up and tennis matches on the way, another RBHS sport is also gaining momentum going into the new season. Lacrosse, which is a club program under Bruin athletics, began practice last week with new head coach Thomas Scully. After the loss of three coaches and the graduation of 16 players, the culture of the entire team has changed. The team is predominantly made up of underclassmen who have never played varsity lacrosse before, but after a grueling and finely tuned preseason, Scully is ready to move his players onto the next step of rebuilding RBHS Lacrosse. With help from previous RBHS players and new coaches, Scully is pushing every player to help them achieve their goal of a state playoff win. Even for senior Hunter Wadman, the increased work ethic now required of every player comes as a sign of hope rather than a burden. Wadman, who recently committed to play lacrosse at Missouri Baptist University, has a new, crucial role as a senior and a leader on the defense. After losing two starting defensemen from the previous year, it’s more important now than ever that the slew of underclassmen have the ability to step up early in the season. The current senior class may be small compared to the previous season with only six graduating, but Scully has made it very apparent how important their role will be in the coming season. Not only is it time for them to push their play on the field, but to ensure that incoming generations of RBHS lacrosse players have a solid program. The seniors must begin to build a legacy for Bruins Lacrosse. Boys’ lacrosse will begin their season March 5 at the Missouri Scholastic Lacrosse Association preseason jamboree, where they will play a handful of teams. One such team will be Priory, the only regular season undefeated team in Missouri Division Two that beat RBHS in the playoffs last year. 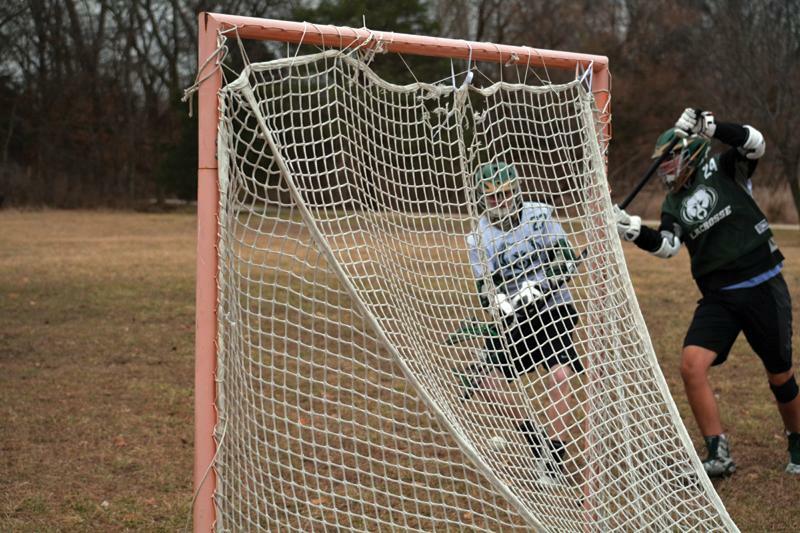 Editor’s note: Writer is a member of the RBHS varsity lacrosse team. How do you think the lacrosse team will do this year? We’d love to hear from you, leave your comments below. Cam Fuller is a videographer and staff writer that has a passion for directing, reviewing, and editing. As the multimedia editor Cam takes great care in making sure the website comes out with great quality videos and podcasts all school year long. When he isn’t running around the school with a tripod or listening to music, Cam can be found in the journalism room.